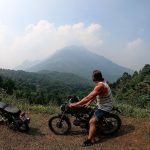 Nowadays, Mai Chau is very well-known for tourism, especially for people who love riding a motorbike from Hanoi to escape the hustle and bustle of the city. It is a mountainous district of Hoa Binh province. It is about 135 km from Hanoi. 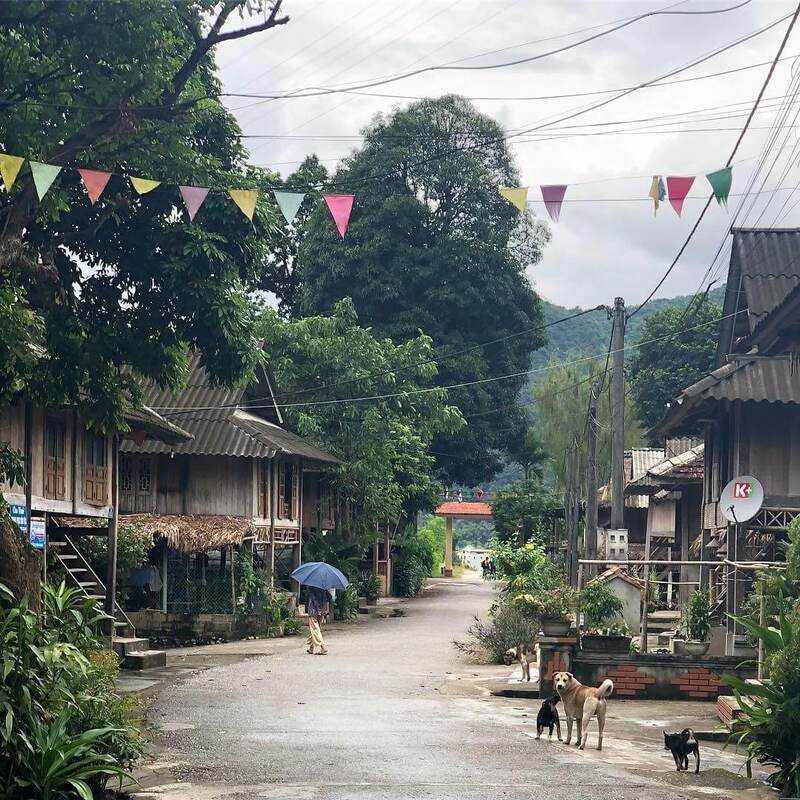 Mai Chau is famous for stilt houses and green valley. There are two tribes, White Thai and Black Thai here. They make up the largest ethnic population of this region. 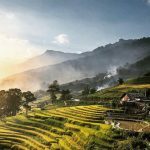 What Is Special About Mai Chau? 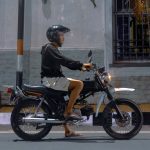 From Hanoi, you can rent a motorbike for the ride to Mai Chau. 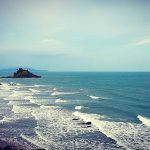 After three hours out from Hanoi – the capital of Vietnam, you will cross into the mountainous Hoa Binh province to the west. Then, you will meet congested row houses, wide-open fields, mountains as well as quaint wood-and-bamboo villages. Mai Chau is suitable for those who wish to explore the nature beauty of Vietnam’s hill tribes. Mai Chau attracts visitors because of a rural valley, unique culture and laid-back atmosphere. 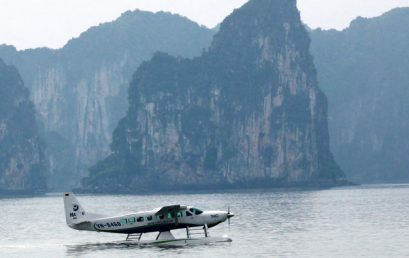 Visitors are also keen to lifestyle of Vietnam’s northwest. You just spend several days here; you will forget hard days. You can spend the daylight hours visiting some local villages. Besides, you can bike around the brilliant-green rice fields. After then, you fill your evenings by drinking the local beer while enjoying traditional Tai dances. When you come here, you will see the great outdoors. They are the ricefields, locals and mountainous backdrop. You should explore the countryside by bike. When biking along Mai Chau’s dirt roads, you will see that the scenery changes so fast. Depending on the time of year, you will meet beautiful wild flowers; rice paddies. Visitors can come to Pom Coong for the sleep as well as Lac for the food. Life in these village is simple. Come to Lac Village, you will meet the Ha, Lo, Mac and Loc people. You can talk with them because people here are very friendly. You also sleep on the creaky bamboo floor. Besides, you can spend your all evenings drinking the local wine while watching a Tai cultural show. Moreover, Pom Coong village is also an attractive destination. We can come here to enjoy a taste of local village life. 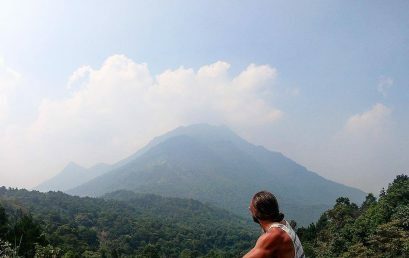 When you are on the way to Mai Chau, you will stop at Thung Khe Pass. It is a rest stop with smoky food shacks as well as a gorgeous view of the beautiful valley below. You can sit down at one of the stalls and eat the local fare of the area’s Muong tribe. You also have boiled or grilled corn and sugarcane as well as the sticky-rice dish. The shape of Mai Chau’s beautiful mountains comes from the karst limestone bedrock. 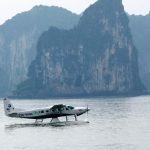 It is the same kind of geological formations which created the dragons’ back islands of Ha Long Bay. People say that where there is karst, you will find caves. Therefore, Mai Chau is not an exception. The visitors tend to stop at two of the biggest caves in Mai Chau. They are Mo Luong Cave and Chieu Cave. 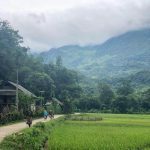 When you stay in the Mai Chau homestay, you can experience many things as the locals do. You can eat the local food served by a Tai Kao, and enjoy the dance performance by a local troupe. Besides, visitors can eat the traditional Tai cuisine such as steamed sticky rice, xoi nep thuong. Moreover, you also enjoy grilled meat, bitter bamboo shoots and sticky-rice wine. 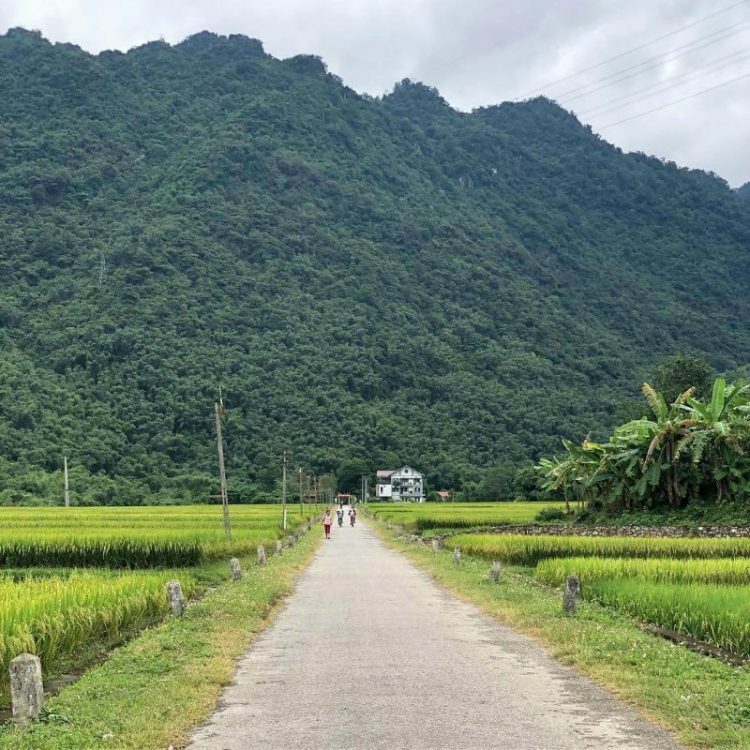 In Mai Chau, there are four seasons: spring, summer, autumn and winter. If you like sunny weather, you should visit Mai Chau in October, November and from March to May. 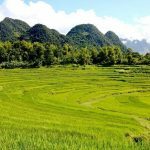 Besides, you can visit Mai Chau from December to February if you like coldest months. We can see that Mai Chau is beautiful all year. 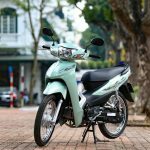 However, it is not suitable for us to travel by bike or motorbike in some months. To have a happy trip, you should bring comfortable clothes and shoes. If you travel in the hot season, you should take sun-cream and hats because sun here is very strong. Besides, in winter, you should wear a jacket, a cap, scarf and gloves. 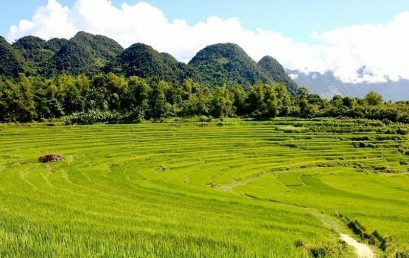 Firstly, you should see the boundless view of the idyllic green valleys in Mai Chau. Secondly, you can have an up-close look at rice farming & craftwork by locals. Thirdly, there are stilt houses & other symbols of traditional Thai design that you should notice. Next, you can have a fun evening with rice wine & a Thai dance performance. Last but not least, the bustling Mai Chau market is filled with unique souvenirs. Therefore, take some back home. With above useful information, hope you will have a wonderful trip to Charming Mai Chau! 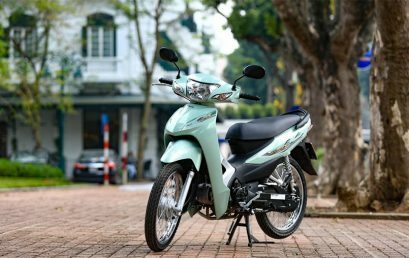 How to drive a semi- automatic scooter for a newbie? 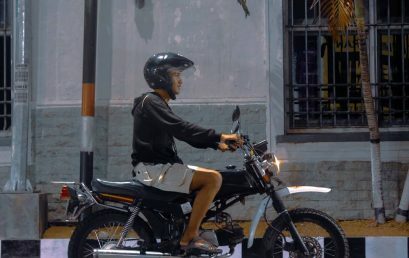 How To Drive A Manual Motorcycle For A Newbie?